Quinoa is often called a superfood due to its nutritional value. Closely related to species such as beetroots, spinach, and actually tumbleweeds, quinoa is high in protein, lacks gluten and is also a source of calcium, and thus is useful for vegans and those who are lactose intolerant. 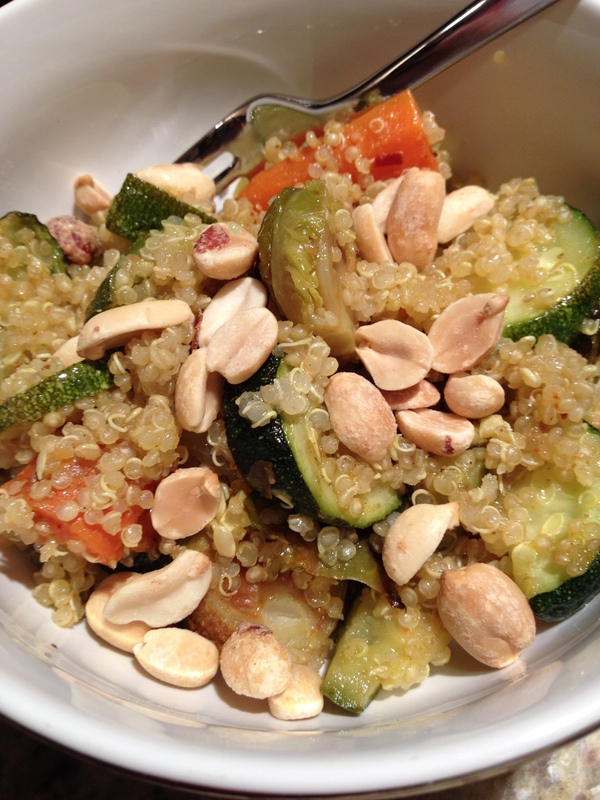 The combo of the coconut and curry is great with the nuttiness of the quinoa. This dish is versatile in the sense that you can use any of your favorite vegetables for this dish. Red peppers would be delicious in this recipe – I would have thrown them in if I had some at the time! Add shrimp, chicken, or pork to add even more substance to this dish. Preheat the oven to 385 degrees. Toss all the chopped veggies with olive oil, salt and Thai Green Curry Powder. 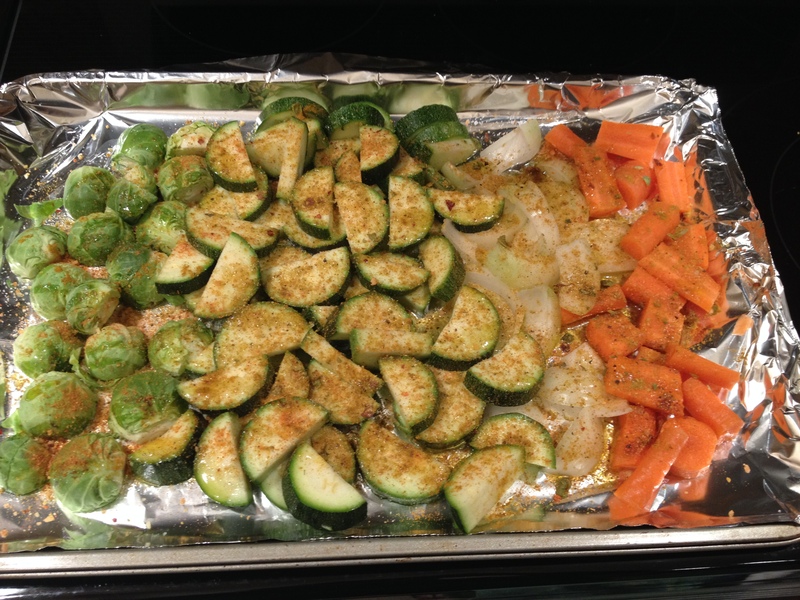 Bake the veggies for 25 minutes, or until they become fork tender. 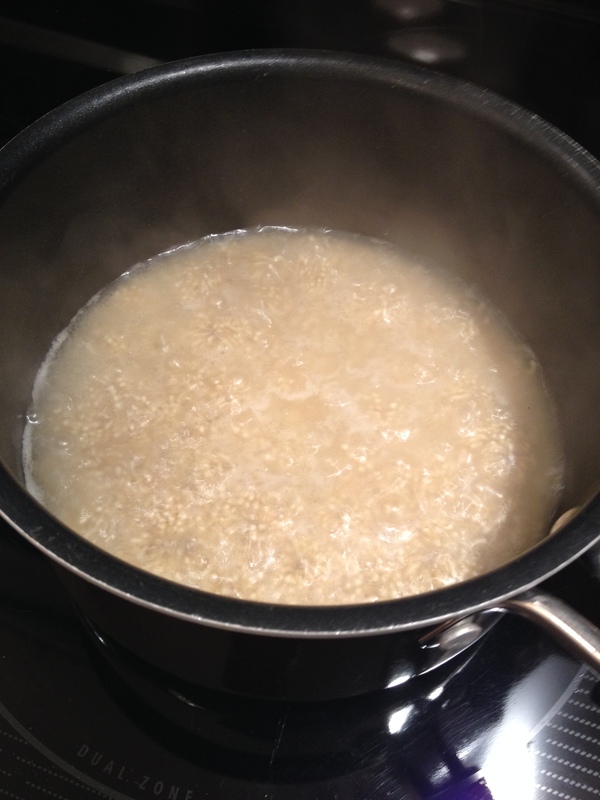 Boil the quinoa as directed on the box. The general rule is two cups of liquid for one cup of quinoa. Add the coconut oil to the boiling quinoa. 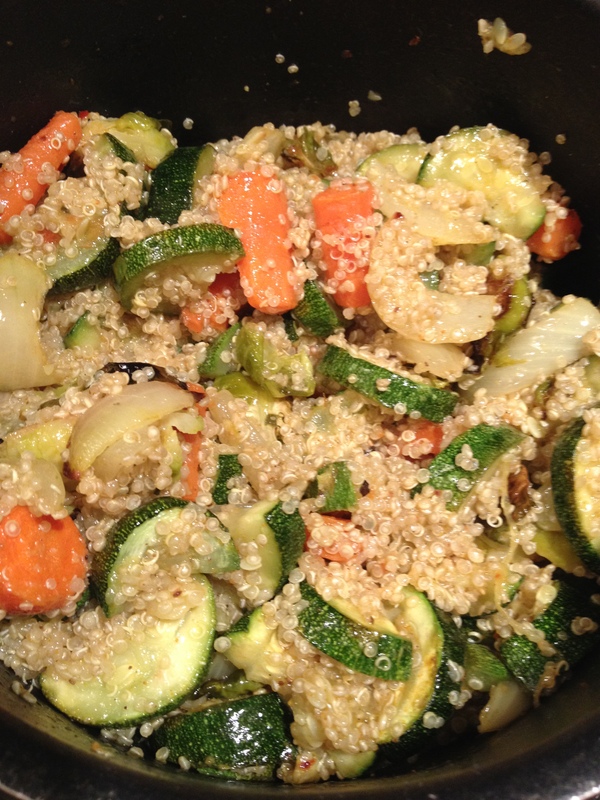 Toss the baked veggies into the quinoa and mix well. Add the salted peanuts on top and serve hot. Enjoy! PS this makes for great leftovers as well!